Making Designs to Your Own Preference – Intensive Workshop of SIVA • DeTao Advanced Class – Sustainable Furniture Design. The Breakpoint Workshop is a new comprehensive course comprised of weekly intensive teaching and project seminars. 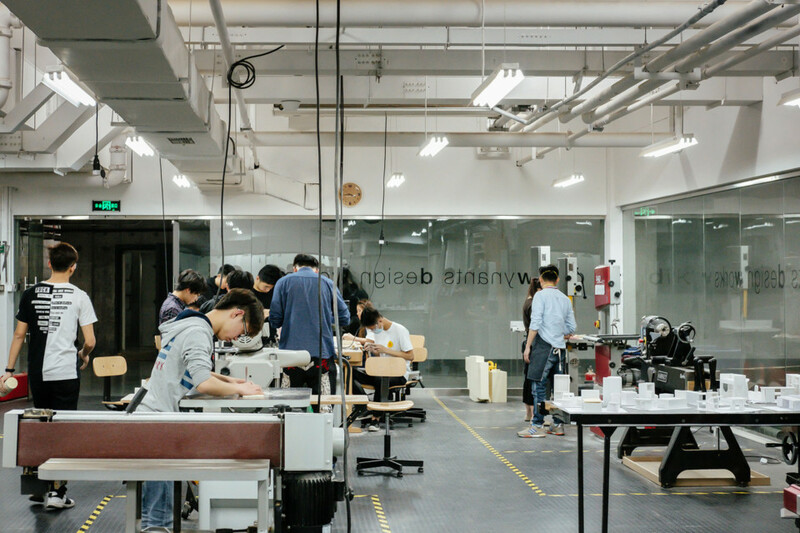 The studio of Prof. Dirk Wynants, DeTao Master of Durable Product Design, adapts the curriculum according to the progress of students’ projects while the different courses expose students to the features of all industries before integrating them into their own designs. Mr. Alain Monnens is a renowned figure within his field. He works and lives in Roeselare, the national lighting industry center of Belgium, and is the founder of idam and has created numerous celebrated designs for tossB, Durlet, Wildspirit and Vertigo Bird. Speaking on the success of his efficient designs, Alain says, ‘it is my goal to remove the redundancies in design, but to still keep a distance from minimalism.’ Alternatively, to put it another way, to replace redundancy with essence. As the class started, Mr. Alain Monnens asked students to select their favorite products and tell the stories behind each of them. For the duration of the morning session, students completed the tasks and printed out their resources. When the afternoon session arrived, the students made presentations and discussed their preferences in detail. After class, the teacher asked students to conduct one-on-one interviews among themselves. The interviewees reflected upon the questions before interviews started, which involved questions regarding joints, lines, materials, and spirit. The detailed interaction of the interviews helped them discover the origins of their preferences. On the second day, students brought along their favorite products from daily life and chose one to redesign. The revamp process would echo what they had learned on the previous day, and with that aim, they got down to business, displaying a new enthusiasm and reflecting their identity as freshmen. The product preference differed largely across personalities. With limited time, students were encouraged to make models as soon as possible.